15 rms racks are intended for installations that require more rack equipment. includes #12 rack screws. Designed with durable steel construction, black textured powder coated, supports up to 125 pounds of equipment. Designed with an 18" depth making it ideal for installing voice and data equipment such as patch panels, active components, shelves, drawers, and cable management products creating a neat structured and organized cabling system. 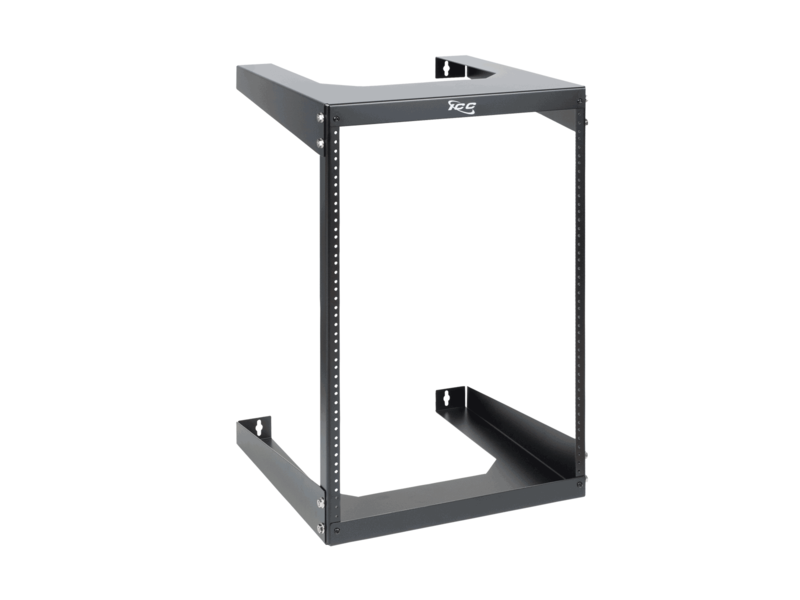 Ideal for medium data and telecom installations where space limitations prohibit the use of floor mount racks.